A desire for the next London Mayor to make London a “fairer” city. The results of the polling indicated a clear desire for the next Mayor of London to make London a “fairer” city. Perceptions of unfair pay – Six out of 10 (59%) people told Survation that London-based organisations where lowest paid workers earn £13,500 (the minimum wage), that the fair, maximum salary for the Chief Executive should be not more than 20 times the lowest wage (£270,000). Income Ratios – Similar in concept to the suggestions that have been made for addressing in-company gender pay inequality, two thirds of Londoners (66%) told Survation that companies employing more than 250 people should be required by law to publish the income ratio of the highest paid to the lowest paid worker in their organisations. Should “Fairness” be Measured? – Three out of four people told Survation they believed the income gap between those on the highest incomes and those on the lowest incomes in London has increased over the last five years. The majority of people supported the idea of ‘London Fairness Index’ – an index that could to annually test whether London is a “fair” city – with one in five (22%) saying that it was ‘completely necessary’. Who Owns London’s Property? – According to LFC’s research, over 36,000 properties in London are registered to offshore companies, meaning the identity of the ultimate owner is not publicly known; 76% of people asked believed offshore companies should be required to declare details of their property ownership in London. ‘London’s future success is at risk if our city is not a ‘fair’ place to work, live and do business. While Londoners do earn more on average than the rest of the UK, the high cost of living, such as housing, transport and childcare, is making the city less fair. There is now a danger that London will become a playground for the super-rich, a treadmill for the middle-classes and a workhouse for the poor. Addionally, The London Fairness Commission believe their report is the first such work for 125 years – since Charles Booth mapped the levels of wealth and poverty across London in 1889, coining the phrase ‘the poverty line’ in the process – that a special commission has analysed the ‘fairness’ of London. Chaired by the CEO of Turning Point and crossbencher Lord Victor Adebowale, The London Fairness Commission, took evidence a wide range of Londoners including experts from business, academia, health and charity sectors over the past year, before reaching its conclusions. The release of the Final Report was marked by an event at the Deck of the National Theatre which included a ‘job interview’ for candidates for Mayor of London. So who might be London’s new Mayor? As part of this round of polling for London Fairness, Survation also asked Londoners about their current first and second preference for London Mayoral candidate. Our carefully quota balanced (geographically down to borough level) using a pre-selected demographic sample frame named person telephone (landlines and mobiles) methodology, yielded the following. Sadiq Khan was the candidate that some commentators opined ahead of his Labour Party selection (in which Sadiq ultimately won every part of the electoral college) would not have the ability if he became the candidate to secure even a narrow victory over Richmond MP Zac Goldsmith. In today’s poll, Khan has almost enough first preference vote intentions to win City Hall back for Labour without needing a second round of voting if turnout for the Tooting MP holds up on polling day. So is is all over for Conservative hopes of retaining City Hall for a third term? To remedy this type of notional opinion lead, and render these figures for the race for City Hall “inaccurate” by polling day, the Conservative Party campaign will have to perform what Lynton Crosby deemed in Boris vs Ken’s London Mayoral “round one” the “doughnut strategy” – securing differential turnout in Greater London’s “outer ring” – except should these figure prove to be accurate, an even more extreme version would be required – extreme being a phrase oft bandied about during this campaign – to little apparent success. However even throwing the “kitchen sink”at the Greater London electorate on a turnout basis – a phrase used by David Cameron in the Rochester & Strood By-election ahead of polling day to achieve the required turnout favouring the Conservative candidate will be challenging. Given polling figures have been heading in the wrong direction for Zac Goldsmith since last Autumn, the Conservative Party’s hopes of London’s third Conservative mayor in what remains a a city more naturally favourable for Labour look distinctly unlikely. 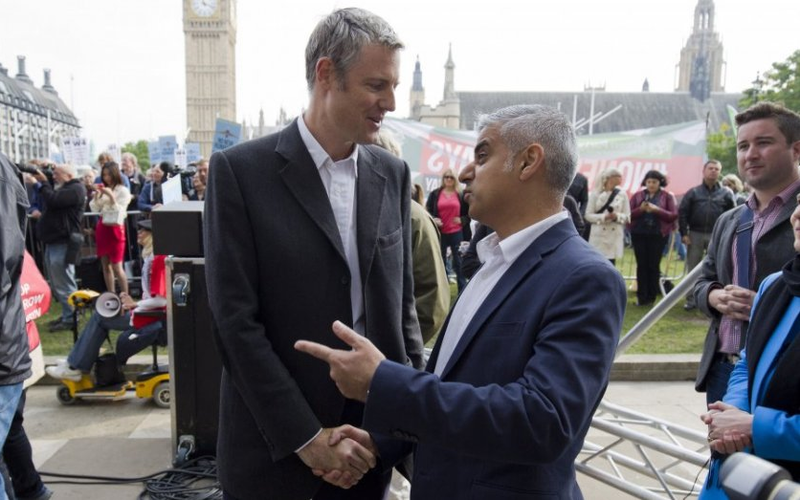 The London Mayoral Election 2016 – What role could faith and ethnicity play in the contest? In London’s Fair City? Polling for London Fairness Commission.